Being a man in the communications field can be liberating as you seek to uncover stories and make decisions about how and what narratives will be told. 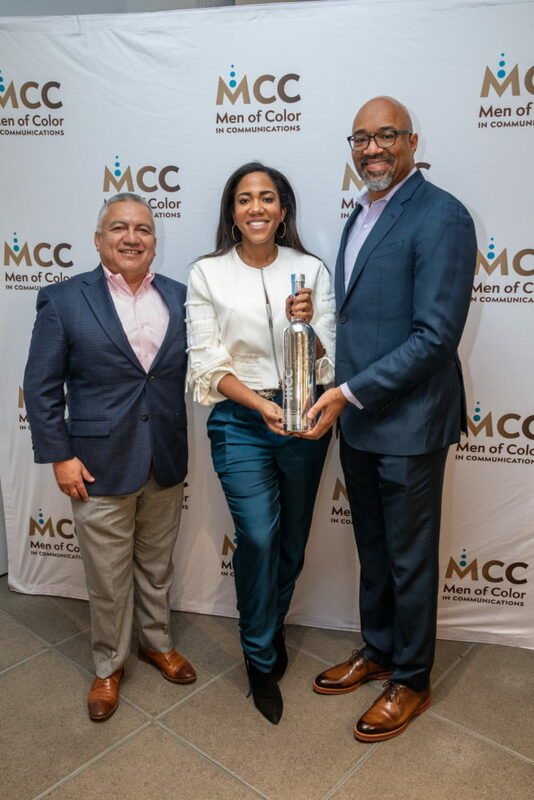 And with a small percentage of men of color in the industry, an organization that understands the professional value of those men is ColorComm Inc., the nation’s leading women’s platform addressing diversity and inclusion from across the communications, marketing, media, and advertising industries. Earlier this year, they launched the Men of Color in Communications community to support men. And earlier this month, they hosted their inaugural Men of Color in Communications Business Summit. The event featured in-depth conversations about accessing the C-suite; how to craft a professional game plan, financial planning and how to live richer; negotiating; the role of culture in the workplace; and the future of the industry. And men were able to network, learn about new developments in the industry, and connect with hiring managers from top media companies. 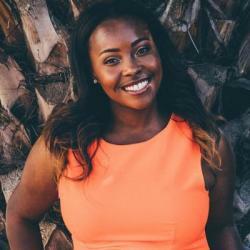 Founder and CEO of ColorComm Inc. and MCC Inc., Lauren Wesley Wilson, says that she created the conference as a way to empower and see men within the industry. And that is exactly what the conference addressed. Event speakers included Jeffrey Litvack, CEO of Adweek; Rodney Williams, President and CEO of Belvedere Vodka; Errol Cockfield, SVP of Communications at MSNBC and NBC; Manny Gonzalez, Senior Director-Multicultural at Moet Hennessy USA; Rob King, SVP of Newsgathering at ESPN; Jana Fleishman, EVP Strategic Marketing and Head of Communications at Roc Nation; Terri Hines, EVP of Communications at Fox Sports; Linda Clemmons, Sales Trainer and Body Language Expert; fashion innovator Dapper Dan, and many more. 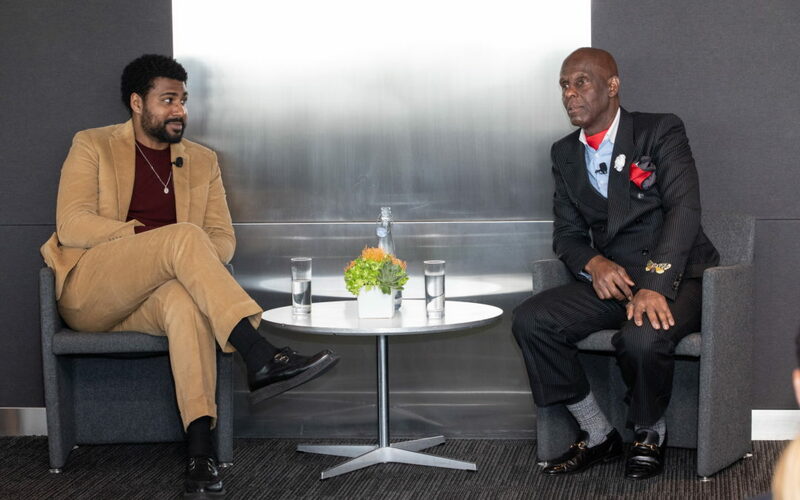 Connecting men to opportunities is extremely important as they climb the corporate ladder and navigate spaces that often don’t mirror their cultural backgrounds or what they look like. “Oftentimes, in the advertising and communications industry, they don’t know where to find men of color. Well, here’s a room full of 200-plus men of color that they say they can’t find. They’re here and they exist in the industry. Obviously, it takes work and effort to connect with these groups, but, we’re here,” says Wesley Wilson. And she believes that empowering men is equally as important. “We talk so much about women’s empowerment and we assume that men have all of the answers… But not every man has all of the answers and not every man is in leadership,” says Wesley Wilson. Wesley Wilson and her team are creating a community of connectedness for men and come the new year they are looking forward to building more programming around the country so that others can glean from professionals in their respective areas. Lydia T. Blanco is a proud Afro-Latinx digital-first multimedia journalist with a strong passion for truthful storytelling, photography and creative content strategy.